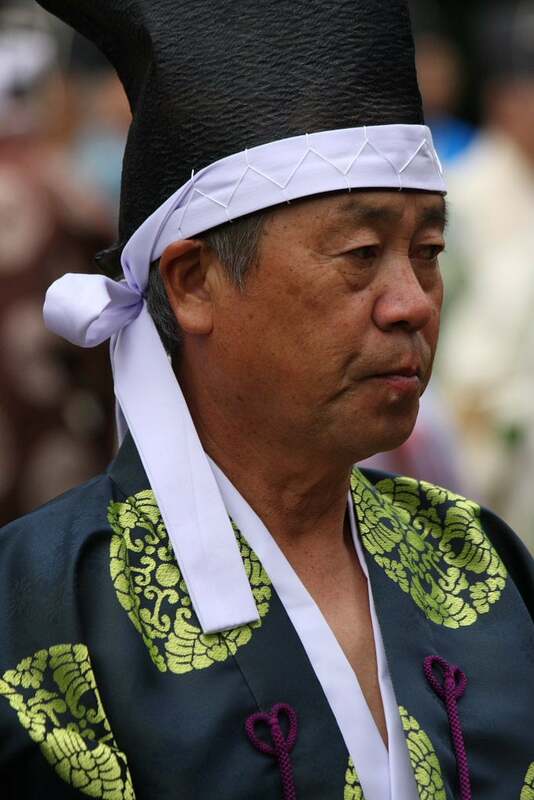 The Culture Day (Nov. 3) Festival at the Meiji Shrine in Tokyo is something I look forward to every year. I’ve been four times, and still get excited about going because it’s so great for photography. I tried out the Jidai Matsuri in Asakusa last year, but a lot of the costumes were kind of cheesy, and it was so crowded it was hard to take photos. 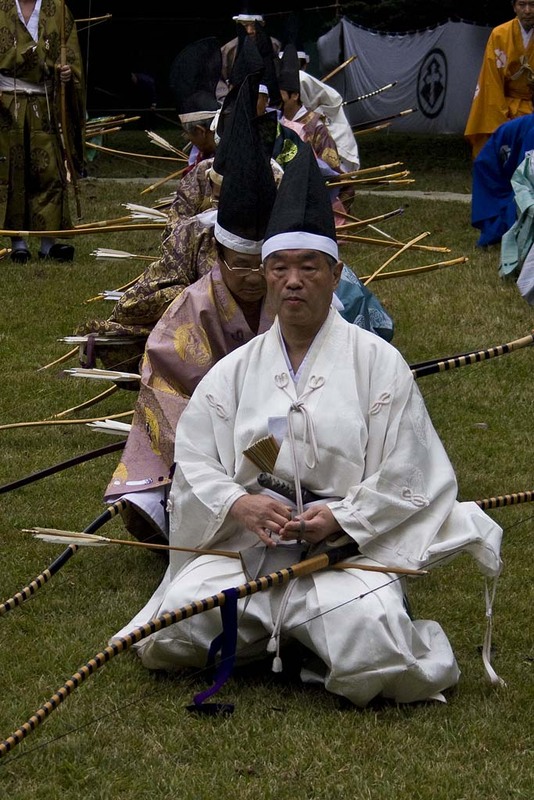 The festival starts at 9:00 in the morning, but the first big event is the kyuudo (Japanese archery) demonstration, which starts at 11:00. 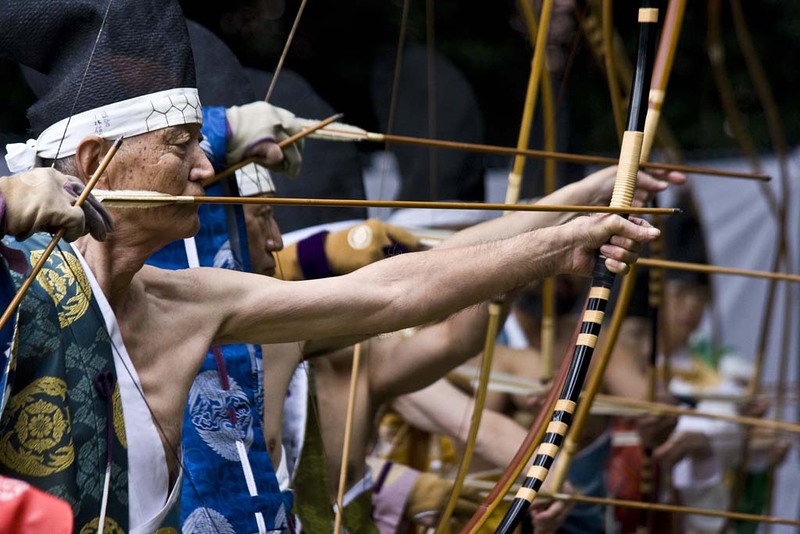 This old man seemed really shaky – except when he had a bow in his hands. 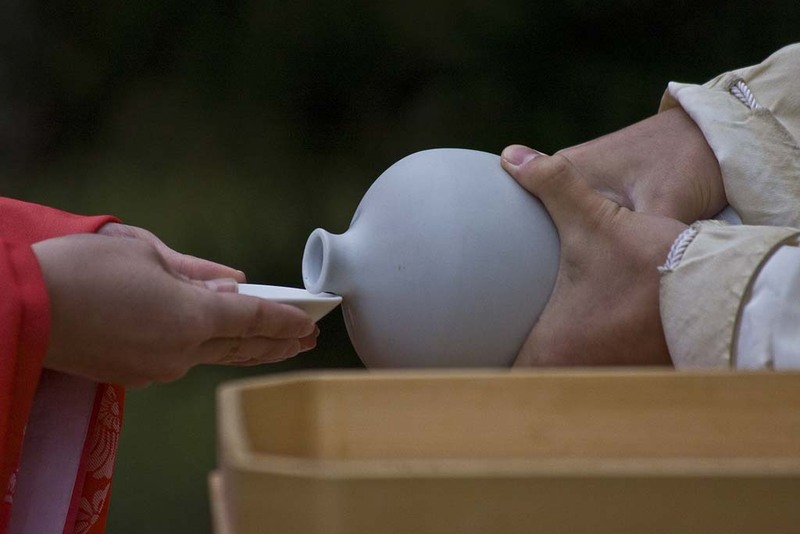 Everyone was given a small cup of sacred sake after the ceremony. 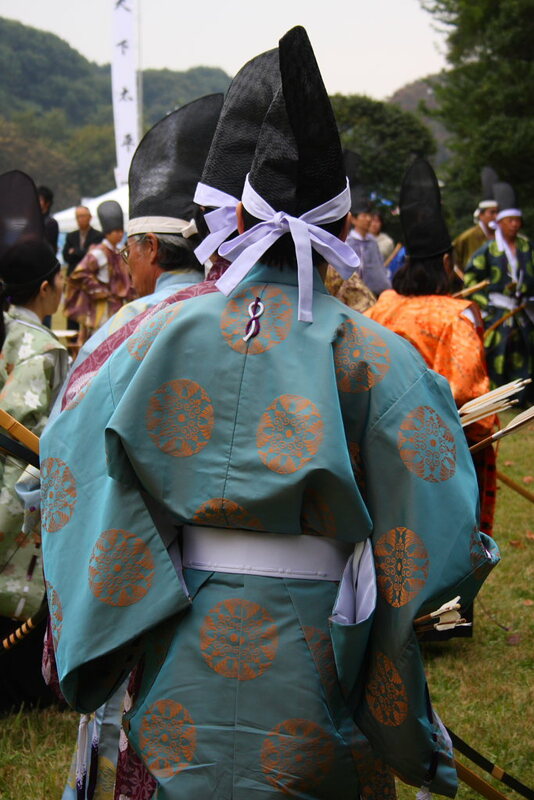 The hats are kind of funny, but the kimono are just gorgeous.